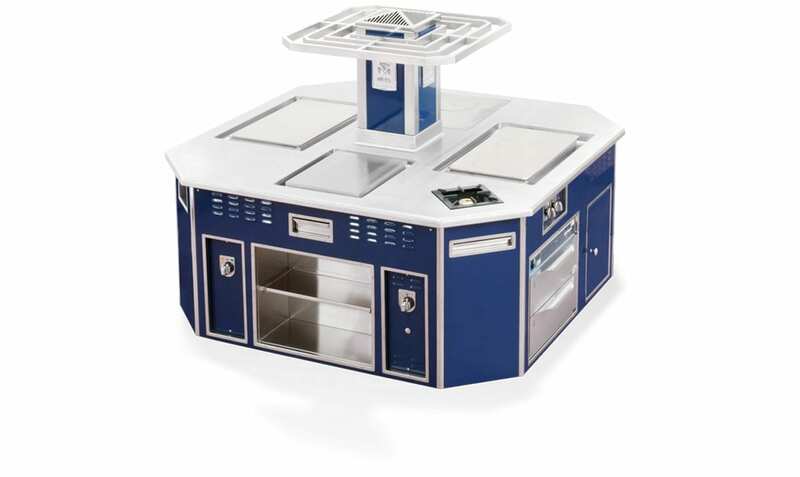 Why settle for standard when you can put together the perfect deluxe custom stove? At Molteni, we listen to you and take your every need into consideration – for a custom stove unlike any other. Truly exclusive: Choose from a selection of common Molteni colours or personalize your kitchen even more by creating your own colour palette. The enamel finish looks stunning and ensures outstanding durability. 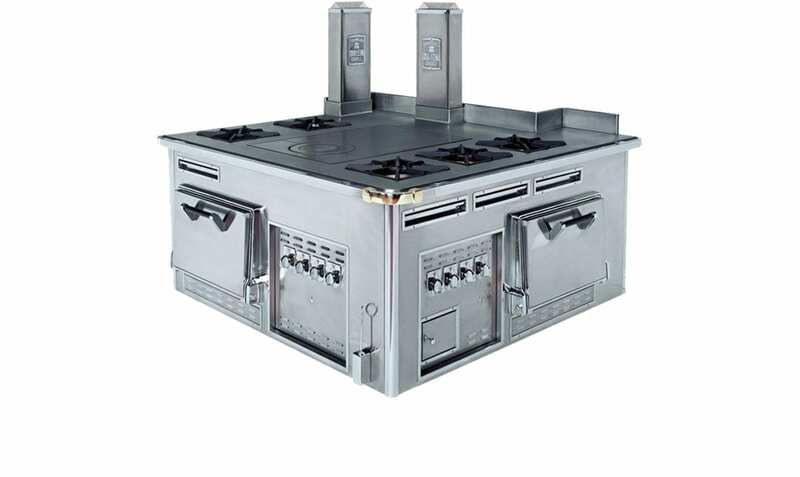 If you want to place your own Molteni custom stove in front of the sea you can ask for a the stainless steel AISI 316 which not permit salt to encrust it. Sometimes the smallest details make all the difference. An elegant handrail or subtle embossed sculpture can really add that extra touch of class. 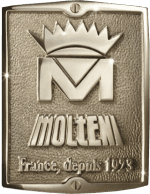 Make your Molteni custom stove truly yours by adding your logo, brand or name- either by serigraphy or in the form of a personalized plaque. Dreaming of a curved or octagonal design? Just ask us. 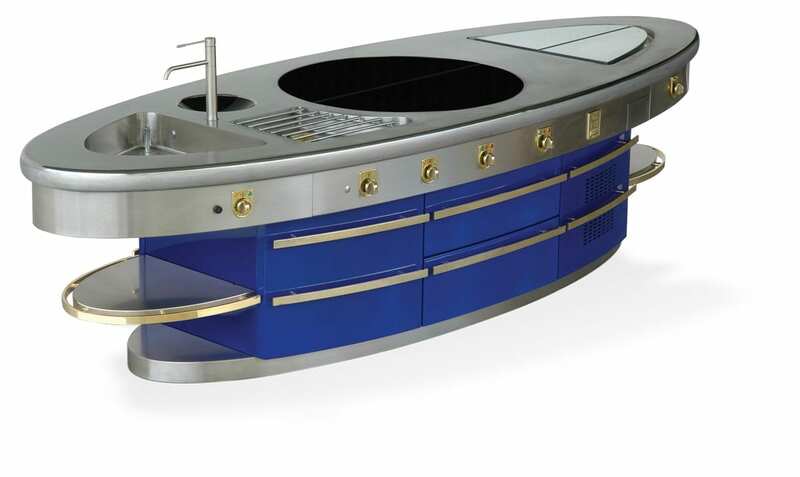 If you fancy an oval stove, look no further than our unique elliptical Podium stoves. These boast a registered design and are highly regarded for their authentic flair and practicality. The perfect marriage of smart style and outstanding functionality. The beauty of unison: match the colour and finish of your Molteni hand made stove to the look of your kitchen, even including attractive details such as column with caryatid head and lion foot or hands. Molteni complies with Electrolux’s Static Preparation System, for efficient and coordinated kitchens that function as one complete solution – we’ll tailor everything to your specifications. Aesthetics are important. 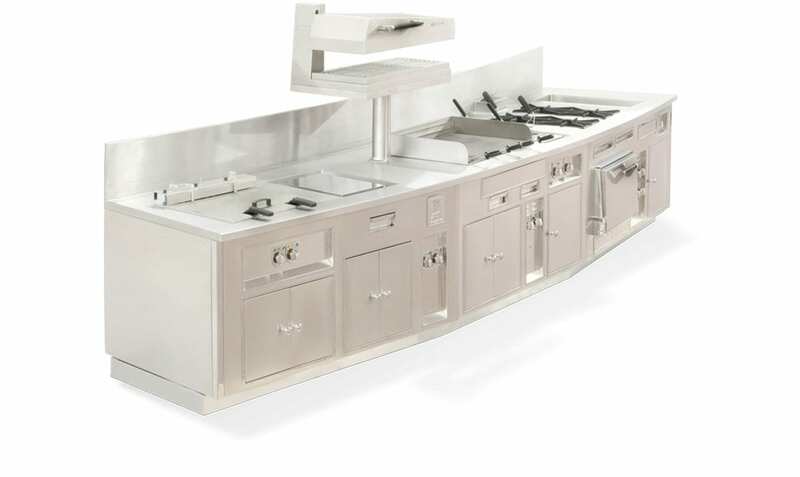 So if you want to match the rest of your kitchen to your Molteni hand made stove, we offer a range of attractive solutions in the same style: rotisseries, grills, Podium line, hoods, woks for open gas burners, Electrolux cook&chill systems, refrigerators and dishwashers. When it comes to installing your Molteni custom stove, we consult closely with you and take the greatest care to ensure everything falls perfectly into place with the minimum disruption. Our dedicated Customer Care team take a comprehensive approach, so fitting is swift and thorough – leaving you satisfied with the experience.